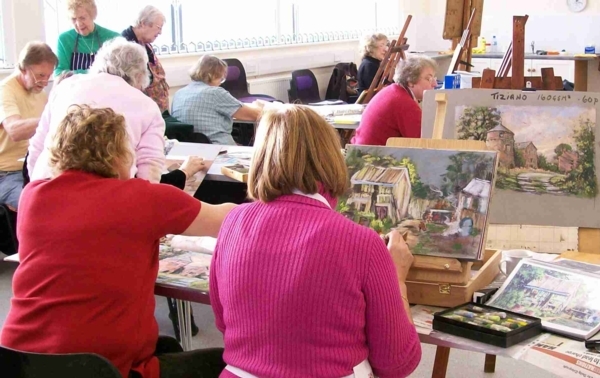 Farsley and district Art Club is a members’ club based in a modern easy access building in Westroyd Park, New Street, Farsley. Members have varying abilities and paint in their preferred media in a friendly supportive environment. As well as painting facilities, the club has life model sessions and holds demonstrations by invited artists.